Chard B and Honiton Cons battle it out for the runners-up spot. For a full report go to Seaton & District Snooker League. Grant Cole representing Rileys, Plymouth competes in the finals of the English Club Players Championship this weekend in Birmingham. 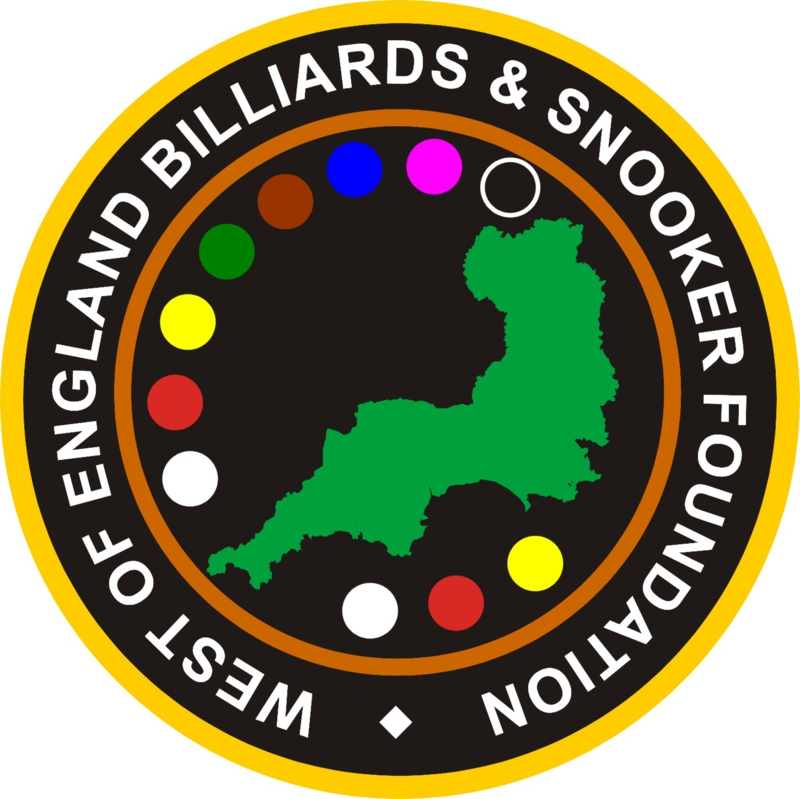 On the Sunday Cole is joined by Michael Day and Matt Williams representing the WEBSF in the English Team Championships. The WEBSF Management Team wish then all the best of luck. Dale Branton steps up to the plate by reaching the last 16 in the EASB English Under 19 Championship. The WEBSF Management Team wish Dale every success in the closing rounds. This tournament is open to any member player. This time 87% of the entry fees went as prize money! Adam Gallen started slow and gradually improved on his way to winning event 5 of the WEBSF Exeter Bronze Waistcoat. Gallen beat Michael Rogers 2-0 in the final. For further details go to Exeter Bronze Waistcoat. This tournament was open to all. This time 80% of the entry fees went as prize money! Chard B stake their claim for the runners-up spot. For a full report go to Seaton & District Snooker League. Mitchell Grinsted sponsored by Pete Evans Roofing becomes the WEBSF first Champion on the 2008/9 season when he won event 5 beating Dale Branton in the final. This secured Grinsted the overall regional championship with Branton overall runner-up and highest break on the day. Overall highest break was a fine 82 by Ben Holley. Full report and tournament details due in soon Silver Waistcoat. Great pictures on Deborah’s Photo Album. This tournament is open to all those that was under 21 on the 31st December 2008. SELWAY’S ONLY GONE AND WON THE 3 REDS! Those were the words, with the odd expletive, of a team mate on hearing that after many years of trying and four near misses, Ray Selway had won the annual Seaton League 3 reds tournament. Ray beat all-comers that included three Chard players before finishing off Neil Wilmington in the final. This year there was the added incentive of prize money for the top four places, kindly donated by Graham Ward & Sons Tiling. Chard Conservative club hosted the event and provided excellent table conditions and superb refreshments. Several big guns went out early yet again, in what is always an enjoyable event bringing the league players together to socialise and reminisce old times. The WEBSF has received a kind donation of a ‘Pop-up Banner Stand’ for use at WEBSF Tournaments and Functions. We now have to come up with a graphic design to be displayed. If there are any budding Graphic Designers out there or just someone with a talent for coming up with an eye catching image and slogan that represents the WEBSF and what it stands for, (WEBSF Aims & Objectives) we would be grateful for your assistance. The size of the banner that is visible is 800mm wide x 2150mm high. Send your ideas by email to the WEBSF. Seaton Snooker League are to run a 6 reds team knock-out tournament at the end of the season. Also the draws for the finals are now published. Go to Seaton & District Snooker League and click on Cup Draws.